Welcome! Thank you for considering funding through SGA’s Finance Division. Please note all grant funding is awarded on a first come, first serve basis. Completing an application should take no more than 15 minutes. Below you will find all the necessary information regarding grants. NOTE: In order to obtain your organization account number and balance, please email Jesse Neader, jneader@butler.edu. 1. Budgeted expenses MUST exceed budgeted revenues (*Note: Revenues INCLUDE current organization Office of Student Activities balance). 2. Organizations CANNOT profit off an SGA grant. 3. A student organization can only apply for one grant per year. Exceptions might be made if an organization shows a significant financial need. May be used to cover any general organization and operational expenses incurred during the corresponding academic year. DIB is committed to promoting diversity within race, spirituality, gender and sexual orientation in order to foster tolerance while cultivating an open-minded environment. Through programming and campaigns, DIB strives to educate Butler’s Community to appreciate and respect the difference in others, while being a support system for diversity organization and a voice of justice for all students. NOTE: SGA’s Diversity and Inclusion Board retains full discretion determining if an organization qualifies for a DIB Grant. The Service and Philanthropy Board seeks to encourage and empower the Butler community to engage in thoughtful service and impactful philanthropy through educational programming, financial support, and the fostering of a positive environment that encourages exploration of social justice and Butler University’s role in the community. NOTE: SGA’s Service and Philanthropy Board retains full discretion determining if an organization qualifies for an S&P Grant. There are 4 application parts. You must complete and submit ALL FOUR parts of the application to be considered. NOTE: You MUST use your Butler email address for all parts of the application.  – The impact your club or organization has on the Butler community. • Rename the presentation as the name of your club or organization. Save this PowerPoint and upload it in Part Three. • Access the appropriate budget template for the grant you are applying for (see descriptions above). • Fill in all related revenues and expenses for the organization for the year including current Office of Student Activities balance. • Rename the budget as the name of your club or organization. Save this Excel Sheet and upload it in the application in Part Three. NOTE: Upon final submission, you will be unable to edit your responses. NOTE: All presentations are business casual or business formal dress. You may have up to 3 speakers and no more than 10 minutes to present your work. Award notifications will typically be sent out within 5 business days. If you apply for a Diversity and Inclusion grant, DIB applications will require TWO separate presentations – one to both DIB and Finance Board. For Service and Philanthropy grants, S&P board members will sit in directly on Finance board meetings for S&P grant approvals. 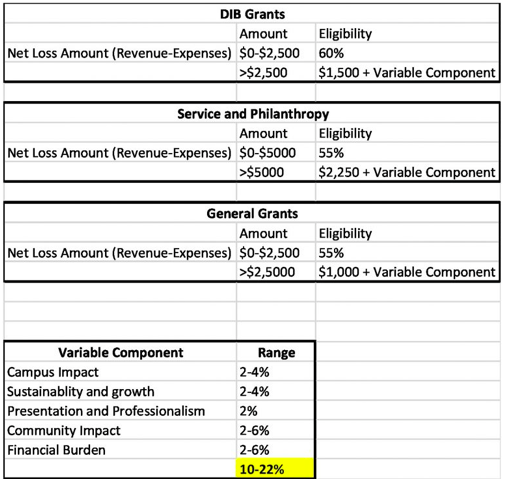 If you applied for a DIB grant, you will first present to DIB to get approval from their board before coming to present your budget to Finance Board. DIB presentations will occur on Wednesdays from 6:00-7:00 pm Finance Board presentations will occur on Mondays between 7:30-8:30pm. • Please fill out an Accountability form via Google Forms demonstrating the use and impact of funding on your organization and the Butler community. • The last question of the form will ask for a comprehensive document (one single document) of all relevant receipts showcasing all incurred expenses covered by the grant. *Accountability materials (form and receipts) are due December 1st (for Fall Semester Grants)/April 1st (for Spring Semester Grants) OR within 1 week after the conclusion of your organization’s event (if utilizing grant for an event). **Should Accountability materials not be submitted and/or infractions appear to have potentially occurred, organizations may be subject to a comprehensive audit over SGA Grant Award. Organizations may also be randomly chosen for an audit per the discretion of the SGA Finance Board. All infractions will result in a penalty evaluated on a case-by-case basis including, but not limited to, reimbursements deducted from your organization’s University account and/or denial of future grant applications. 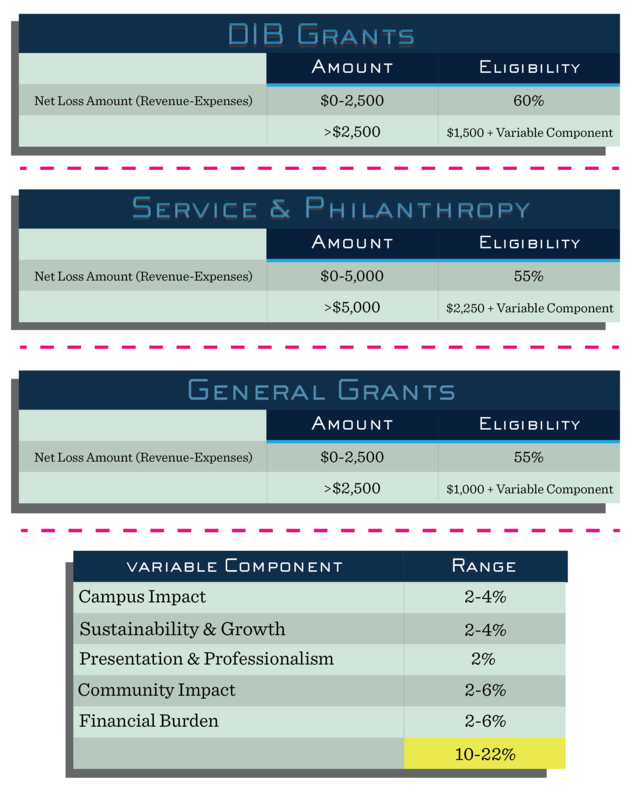 The SGA Finance Board will use the following matrix as a guideline for funding organizations. Eligible amount will also automatically be calculated for your reference on the Budget Sheet. Disclaimer: The Finance Board of SGA has full discretion as to which organizations receive funding and the sum of funds awarded. If you have any questions or concerns regarding the grants process, please email the Vice President of Finance, Justin Poythress, at jgpoythr@butler.edu.